StoneWall SELECT natural real-rock appearance is so unique it’s trademarked. The offset split face design is unrivaled in its beauty from large commercial projects to small residential terraces. 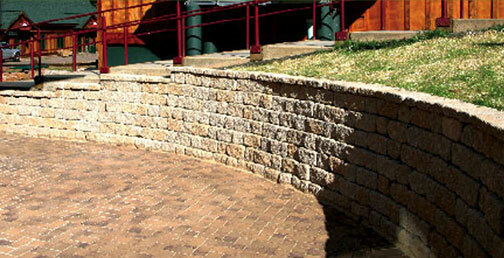 The patented interlocking system and hollow cores make it easy to install than most other retaining wall systems.